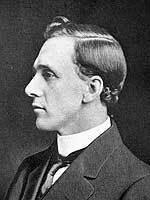 Born at Parrsboro, Nova Scotia in May 1878, son of carpenter George Wells Tuttle (1852-1912) and Ellen Jane Dodsworth (1855-1938), he began working in the building trade at the age of 15 then took a correspondence course in architecture. In 1899, he came to Winnipeg with his family and continued in construction, working as a building foreman for two years before becoming an architect. For a time, he worked at Souris with lumberman T. L. Arnett. For about a year starting in June 1906, he worked in partnership with Albert S. Jewett in the firm of Jewett and Tuttle. Practicing alone as of late 1907, he began to specialize in the construction of schools and was responsible for designing buildings in towns around Manitoba. On 25 June 1902, he married Evangeline Burman (1876-1959), daughter of Edward Burman, at Winnipeg. They had no children. The couple moved to Chicago, Illinois in 1924 where he died on 15 September 1965. “New firm of architects,” Manitoba Free Press, 30 June 1906, page 10. Local news, Souis Plaindealer, 6 July 1906, page 8. ““Grandpa” Burman, pioneer of Maryland Methodists, is dead,” Winnipeg Tribune, 5 February 1923, page 2. Obituary [Evangeline Tuttle], Winnipeg Free Press, 16 April 1959, page 33. Obituary [Edna Blanche Tuttle], Winnipeg Free Press, 23 May 1961, page 26. Obituary, Winnipeg Free Press, 16 September 1965, page 16. We thank Randy Rostecki and Nathan Kramer for providing additional information used here.